Cornell Information Technologies has a product to support Macintosh computers that ILR Technology Services has implemented. The Software is installed by the user through an email that will be sent from ILR TS for a current Cornell owned Macintosh computer. For new orders this software will be installed by Tech. The application is called "Self Service." 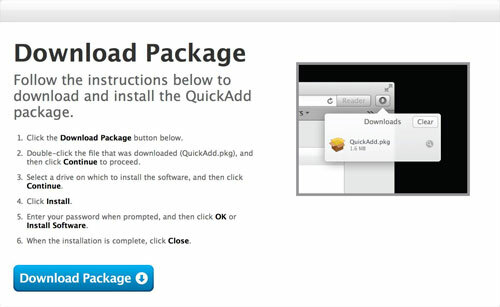 It bundles all the necessary Cornell software in one location for you to easily install. 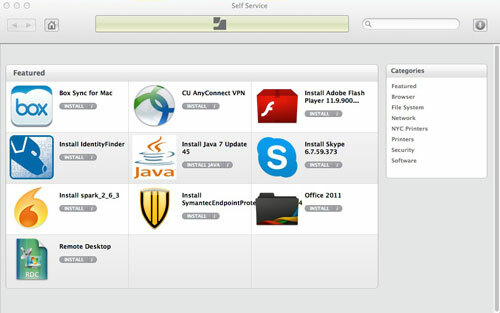 There are also bundles to keep your computers secure such as virus protection, Identity Finder and the latest security updates to common software used, like Java and Adobe Flash. 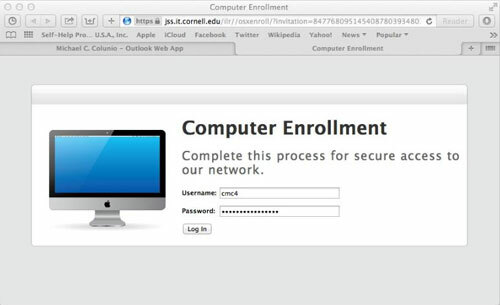 Use your Cornell net ID and password to log in. 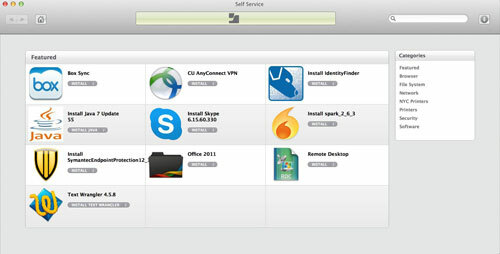 Open Finder or the LaunchPad, then open the application called "Self Service." Here are a few screen shots from the Self Service application. Notice the different categories. 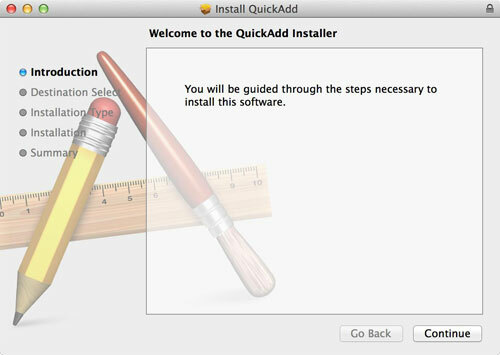 Select the application you need and the program will install automatically. Most packages require you to reboot your computer after installation. 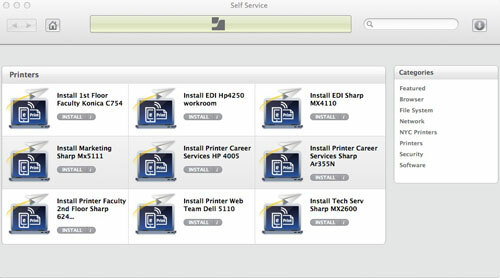 Printers can be easily installed and are found within the printer category. This tool can also be used to update your computer with the latest software. 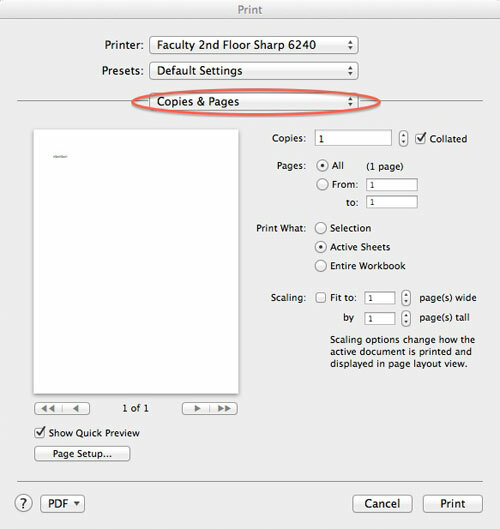 Most Sharp multifunction devices require you to enter your department code that you enter on the device when making copies. If you send a print job and it appears to have printed, but there is nothing in the tray, you probably need to enter in your code. Here are directions for doing that. 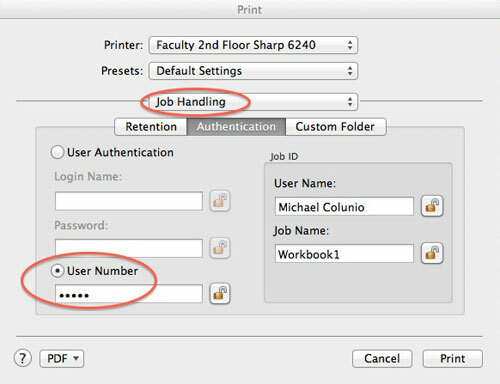 When you are in your application and choose to print, click the drop down menu and select "Job Handling." If you print from multiple applications, you will need to add this code for each application. For more information visit: CIT Frequently Asked Questions about Managed Desktop.